Our pet-friendly apartments in Lake Nona not only offer an onsite dog park with obstacle course and washing station, we’re just minutes from some of the best dog parks in the area! Your furry friend should enjoy life just as much as you do and what’s better than getting out and exploring a new space? Dwell Nona Place is conveniently located near lots of places for you and Fido to explore. Barber Park features an area for small dogs as well as an area for larger dogs to play together. There’s also a host of amenities for humans to explore as well! Enjoy their outdoor roller hockey rink, skate park, three soccer fields, basketball courts, fishing, and playground. The park offers a dedicated parking lot for convenience. Barber Park is just a 25-minute drive from our rental community. Meadow Woods Park, just 15 minutes from Dwell Nona Place, features separate areas for small and large dogs, water fountains for you and Fido, and convenient washing stations so you can rinse the dirt your furry friend kicked up during his jaunt. In addition, this park is home to Meadow Woods Recreation Center offering human-friendly activities like tai kwon do, Zumba, and more! Check out the calendar of events to plan the next class for you or your child. 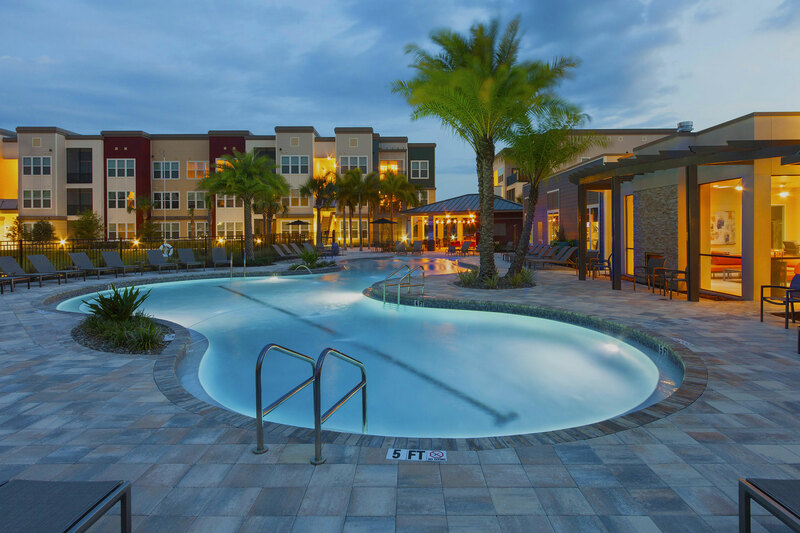 In addition to the numerous area dog parks, our dog-friendly apartments in Lake Nona are near a variety of natural wonders for you and your furry friend to explore.